If the time comes to transition out of the military and into the world of business, it is important to re-examine your career goals and question how your military service has impacted your ability to excel in a new arena. Serving in the military provides service members with leadership skills, problem-solving abilities, and real-world experience that rival time spent in the corporate world. Military veterans are often sought after in the business world because managers and CEOs respect the service given and the invaluable experience gained through time spent in a military environment. Former service members are able to compare various sources of information and make quick, smart decisions in tense situations. They also have skills that translate well to business tasks like negotiating contracts and closing deals. Related: Search for business jobs. Once a member of the military decides to leave the service, combining their military experience with advanced business knowledge, like that gained through the completion of a Master of Business in Administration (MBA) degree, can be the key to rapid advancement in a new career. More and more companies are beginning to recognize the advantages of hiring veterans. As Marine sergeant and current hiring manager Jon Davis has noted, veterans are an excellent choice for any corporation: they are persistent, organized and always see a job through to completion. It isn’t only individual companies that appreciate and recognize the significance of time spent in service. Universities across the country also view service as valuable, and many allow those with a minimum of five years of military service a Graduate Management Admission Test (GMAT) waiver. Not having to complete the GMAT saves veterans time and money that can instead be applied to their studies. 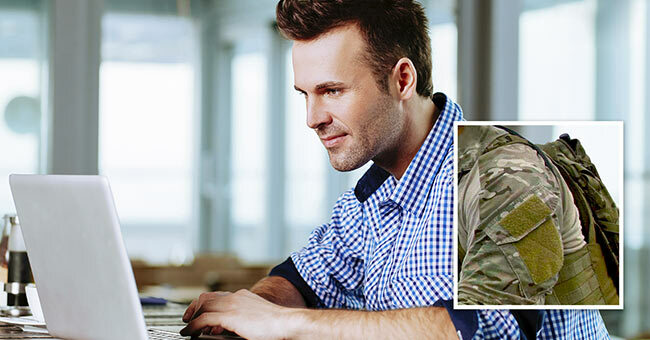 Quality online MBA programs that offer GMAT waivers help new students with military experience to get straight to work when they begin their new career, and can provide an incentive to focus a veteran’s ambition and direction.